In a new study published in PLOS ONE, a team of biology professors set out to evaluate and share what they learned about their process of curricular transformation for an introductory biology course. A key takeaway? “Curricular transformation takes time. A long time.” In this interview, Suann Yang and Tarren Shaw, two of the study’s coauthors, share their personal experiences as novice teachers that shaped their research interests and key recommendations about how to build buy-in among students and faculty. How did you become interested in the process of curricular transformation and the impact it has on student perceptions and performance? TS: When I first started teaching, I wanted to make sure students had a good time in my class, so I worked jokes into my lectures and included interesting stories. If students were enjoying the lecture then they must also be learning, right? Students did have a good time—they even said so on my end-of-course evaluations—but not one student left a comment about how they learned more as a result of my teaching. This got me thinking, how should I teach so that students leave my class as critical thinkers able to see how the subject matter applies to their lives? Instead of spending my time finding a memorable anecdote or crafting a punchline, I began to spend time crafting classroom experiences that put student learning and experience at the center. My mantra became “The person who is talking is the one who is learning.” I started building more and more opportunities into my class for students to talk with each other about what they were learning. I started working with Suann about this time and discovered that she had a similar experience to mine and wanted to find new ways to engage students in meaningful learning. SY: I had come to my role as a professor with the assumption that learning is supposed to happen in a class, so therefore it will occur. So, the first time I taught a course, I packed it full of the important information that I thought students should know, just like I had experienced as an undergraduate student. Unlike Tarren, I didn’t necessarily strive for students to have a good time. Instead, I naively assumed that the quality of the information that I presented would be the determining factor in student learning. Boy, was I surprised when my first exam proved that assumption to be incorrect! From then on, I totally changed my perspective on teaching and learning. I decided then that I needed to learn everything I could about teaching effectiveness. This eventually led to leading the Integrating Biology and Inquiry Skills (IBIS) curriculum project with Tarren. Funnily enough, I had a similar wake-up call during the transformation process, like I experienced with teaching. We thought our curriculum was great—it aligned to many of the recommendations from Vision and Change—but after our first semester, we didn’t get 100% of students thinking the same thing. Of course not. TS: We forgot about buy-in! We assumed that if students had a choice between sitting in a class and listening to some old dude read bullet points or go to a class where they were able to work with their friends to apply knowledge to solve interesting problems, it would be obvious which was better. But we were surprised that some students were discontented with the changes we had made and would have preferred the old dude! SY: Being improvement oriented, we then began to focus on this group of discontented students and wonder, why are they unhappy? Are they learning anything? How about the students who were satisfied with their experience? This meant that we needed to begin measuring not only student perception but also their performance. What’s a key finding from your research? What surprised or challenged your thinking on efforts to create, adapt to, or teach a new curriculum? What implications does this have for college educators? SY: Curricular transformation takes time. A long time. Longer than the length of the [National Science Foundation] grant that funded the work! TS: While we were implementing the course, we kept thinking, “This is the year when students will finally accept it!” But, looking back, it seems we needed the institutional memory to forget the old version of the course and allow our transformed curriculum to become the norm among the student body. This took about four years. SY: So, this means that when an institution wants to implement curricular change, everyone who is involved or supporting the work should be aware of this lengthy timeline. TS: This can be frustrating for faculty involved in developing the course or involved in instructing early iterations of the curriculum. SY: Yeah, you’re already working really hard to make changes, so it can be demoralizing to receive any negative student comments on your work. But, stick with it, because we found that the negative responses decrease, and there’s an increase in the quality of the positive responses. TS: Finally, I had students telling me they saw how our course material applied to their lives, and that the way they were being taught was the reason. Based on your work in this area, what practical advice do you have for faculty who are interested in curricular transformation at their institution? SY: In addition to being ready for a lengthy timeline, multiple assessments are a really good idea. Measuring not only learning gains, but also student perceptions of them, allowed us to identify those discontented students, and the nature of their discontent. TS: Our student learning gains remained relatively consistent throughout the life of the program, so if we had only used student test scores or the college end-of-course survey to measure the effectiveness of our transformation efforts, we would never have realized how much student buy-in was shifting in favor of the new course. SY: Remember that buy-in from both students and faculty is important—especially for active learning, because both groups need to be committed to participation for this type of classroom environment to be effective. TS: Get as many people on board as possible, students included. At the conclusion of each term, we identified enthusiastic students who were able to be successful in the course and created positions for them as peer mentors to guide the next cohort of students to success. This let the new students see that success is possible and provided evidence that active learning works. SY: Our team of faculty made this transformation possible. I think it’s clear how dedicated everyone—not only our coauthors but also the others listed in our acknowledgements—was in this undertaking, which reflects their deep level of commitment to its success. Tarren Shaw is a lecturer in the Department of Biology at the University of Oklahoma. As a fellow at OU’s Center for Teaching Excellence, he leads faculty development workshops to encourage active learning and assessment strategies across the university. 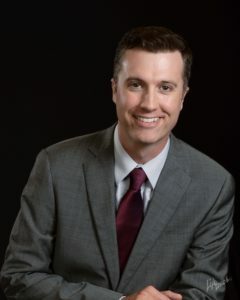 His research interests include undergraduate biology instruction, curricular development, and the impact of technology and peer-led instruction on student learning gains. 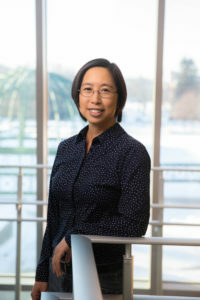 Suann Yang is an assistant professor of biology at SUNY Geneseo. As a trained community ecologist, Suann’s scholarly interests are focused on how the context of student-to-student interactions influences their attitudes toward learning. Her projects include improving student retention with peer-led workshops, teaching quantitative skills while reducing math anxiety, and developing multidisciplinary open educational resources for sustainable education.